the location of Minini, my favorite Italian coffee shop after finishing outdoor walks. 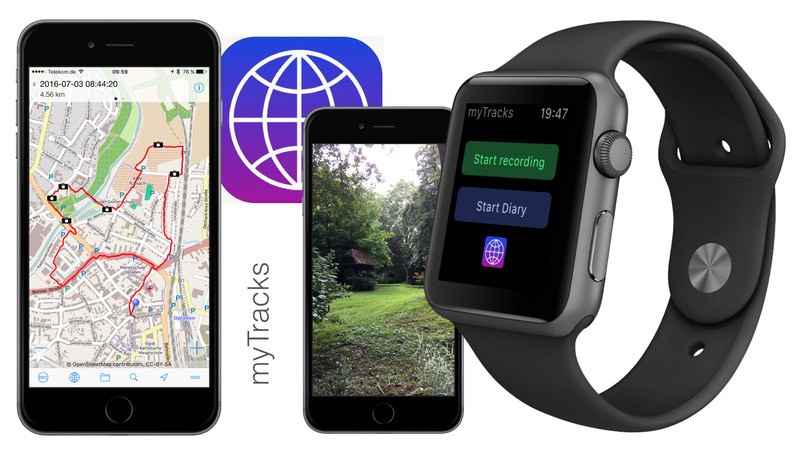 The app myTracks turns your iPhone into a fully functional GPS logger. Tracks can be displayed on different maps. With the Apple Watch App you can start and stop the GPS recording, add waypoints to highlight important locations, and display information about the current GPS recording. This includes the starting time, distance traveled, current, minimum and maximum elevation and the current map. In addition to the waypoints you can take photos from within myTracks, which are added to the GPS track. GPS tracks are stored only on your iPhone. That means, there is no need to register or Iogin to any network service. Optionally you can sync tracks and photos via iCIoud between all your devices. The image shows my first tracking with the app including a photo taken with an iPhone 6S Plus. The UI is self-explaining, no need to learn anything before starting your move. Thanks to the developer Dr Dirk Stichling. Previous Post What matters. At a glance.